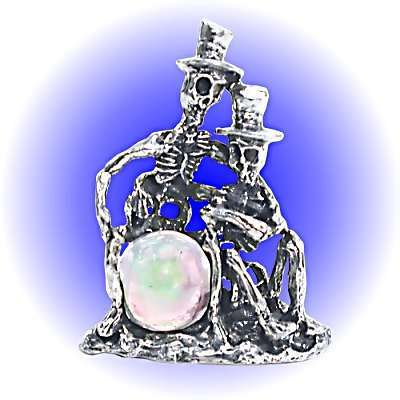 Two Skeleton Friends sitting on Colorful Ball Lead Free Pewter Figurine The figurine is 2 inches tall. All measurements are approximate. Militant Lizard Pewter Figurine - Lead Free. Tyrannosaurus Rex Pewter Figurine - Lead Free.